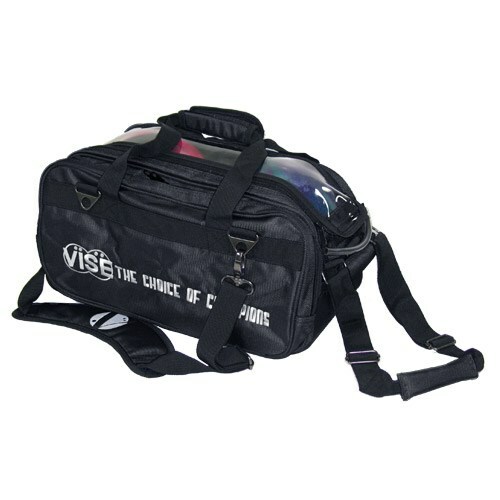 The new see-thru roller/tote from VISE will clearly make your bag stand out from the others! The dual adjustable, detachable, padded shoulder strap makes a difference when you need to carry it. This bag also has a new adjustable handle. If you ordered them on September 2, 2016, they would ship out today (09/06/16) and then it would take about 3-5 business days to be delivered to you. Hello. Yes, this roller tote will have wheels. does this have a shoe compartment? Yes, this tote/roller will have wheels. Yes, this roller tote will have wheels. There is one zippered compartment. Due to the time it takes to produce the VISE 2 Ball "Clear Top" Tote Roller Black ball it will ship in immediately. We cannot ship this ball outside the United States.